Laurel closed her eyes and Gene pulled her close to him. They danced like a whisper, like an invocation, like a sumptuous sigh. With each step and swivel, time distilled, and in the silence after each song ended, the only bearable thing to do seemed to be to put on another song and begin the dance again. Laurel: I don’t remember not dancing, but I didn’t have any training until I was in my 30s. I did both modern dance and belly dancing for quite a long time. When I was 52, Gene and I saw a movie called The Tango Lesson. I had tried to get Gene to dance for 23 years. Bless his heart, he came along to modern classes, folk dance classes, cha cha classes. He tried but wasn’t interested. When he saw Argentine tango, which is different than ballroom tango, he was fascinated. That was 1999, we fell in love with it, and we’ve been doing it ever since. We’ve taken nine trips to Buenos Aires, the home of social tango. Our kind of dance, tango for the milongas (the social dances), is done on a social floor that’s often crowded and is characterized by internal communication with your partner. The highlights are when you really connect with your partner and the music. Gene: I did swing dance in junior high and high school, but after I went off to college I had no further interest. I’ve always loved to move, so I ended up studying Tai chi. I did a daily Tai chi practice for about 30 years. Tai chi is a solo practice; you work on your technique, concentration and focus, but you are working on yourself. Laurel always wanted me to social dance with her. I wanted to make her happy so I would try. When I saw The Tango Lesson, I loved the music. I also loved the expressiveness and creativeness of the dance form. Laurel: Every week for two hours we practice via the practica, where a teacher is there to help. Beyond that, we go out dancing three to four times a week. Gene: In our first five to seven years dancing tango, I had the hardest time accepting any criticism. Each dance is improvised; there’s no choreography to speak of. Each weight change is led by the man, so what it brings up very quickly is needing to be clear in my intention and not be indecisive. It was a giant graduation of sorts when we could practice and Laurel could tell me I wasn’t being clear, and I would ask what would work better instead of being defensive. 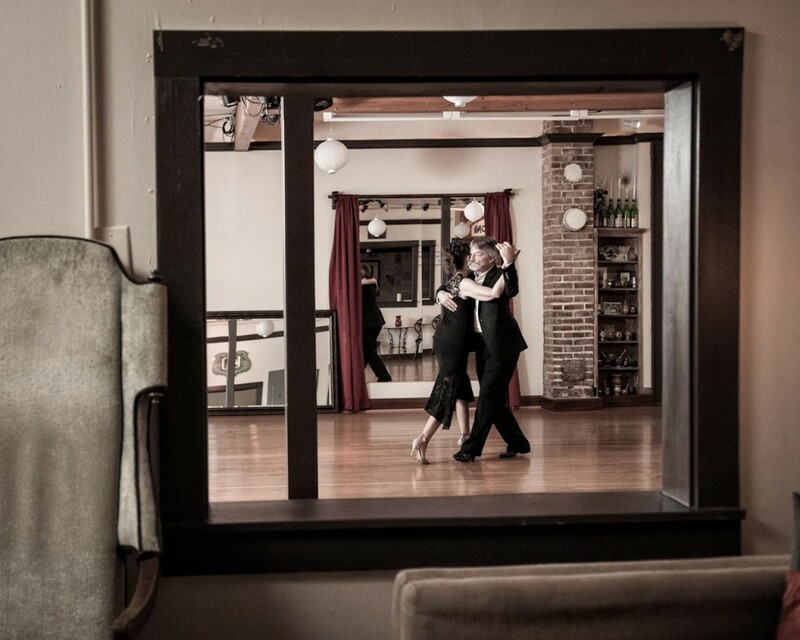 Laurel: In Argentine social tango, there are etiquette codes, which give a huge amount of freedom and, in this very intimate dance form, also provide protection. It’s quite an education for those of us who grew up in the 50s, 60s and 70s to realize an etiquette system can greatly be to our benefit. One of the codes is you don’t talk while you’re dancing. It interferes with everyone’s concentration, so consequently you need a place to practice. That’s why the practica is important to us; we can talk about what’s working and what’s not. What is your motivation to dance and how has it changed over time? Laurel: It’s a passion and it overtakes you. This isn’t just an affair; I’m married to the dance, so I have to build a relationship with it and incorporate it into my life. Gene: We’re constantly working on technique. Steps are technique, but the idea is how to become more subtle in expressing the emotion. The technique is just an enabling set of skills. Gene: We feel respected and appreciated as social dancers. In the instance of going to Buenos Aires, there are magnificent dancers from all over the world. The success in that case is that we get to dance among those dancers. That’s the reward of constantly working and getting better. Laurel: In the world of tango, there’s social tango and stage tango. The style you choose has a lot to do with what success looks like. If you choose a style with kicks and lifts, it doesn’t fit on a social floor, so you will want to find performance venues, which leads to a professional track. We made a deliberate choice in style, which really affected how we’ve pursued tango. Laurel: I probably wouldn’t use the word “legacy,” but the concept still resonates with us because, right now, the milonguero style is not the dominant style. The showier styles are much more popular. As a result of watching the old milongueros die off, we hate to see that world lost. It’s the bedrock of tango. We want to stand as an example for this style of dance. It’s the kind of dance you can do until you drop at age 95 on the floor of your favorite milonga. Gene: We frequently get feedback from our community both in Portland and in Buenos Aires that our relationship serves as a role model. We find that very flattering. Laurel: Of course there are the physical limitations that happen with age. Beyond that, just try to make us stop. Gene: The issue of injury did lead us to actively find bodywork that supports our ability to dance. We work with a somatic movement analyst. I started working with her about 10 years ago when I injured myself due to poor posture. She helped me develop muscles and tone, and after a year the pain went away. Laurel was so taken she started working with her too. It’s all focused on how we can continue dancing. What advice would you give to a younger version of yourselves? Gene: Figure out what kind of dance interests you. Is it performing on a stage, or is it socially dancing and connecting with people? 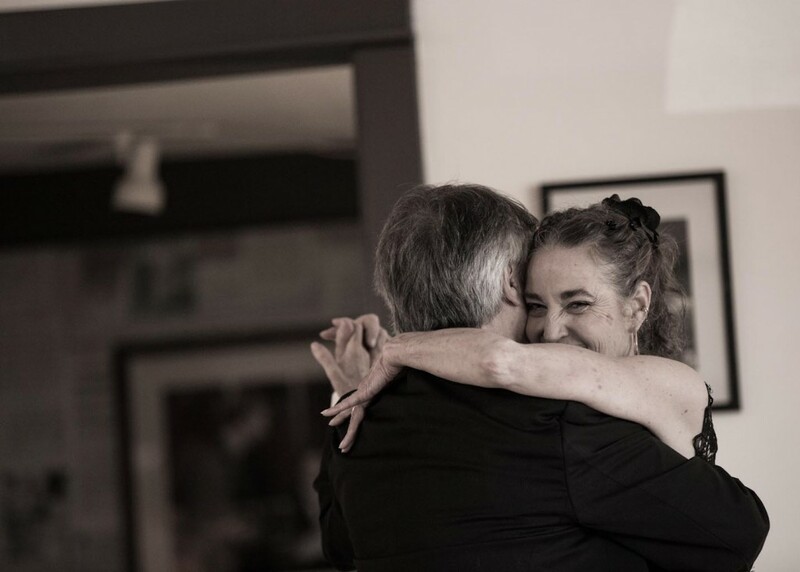 For the aging process, it’s far more encouraging and supportive to stick with social dancing. Laurel: Don’t get blinded by the fool’s gold. Behind what’s flashy you need structural support. If you want to wear those four inch stilettos, you better do your homework or you’ll get hurt. Go to teachers who will give you the basic structure of the dance, and then you can do anything you want if you work hard enough. 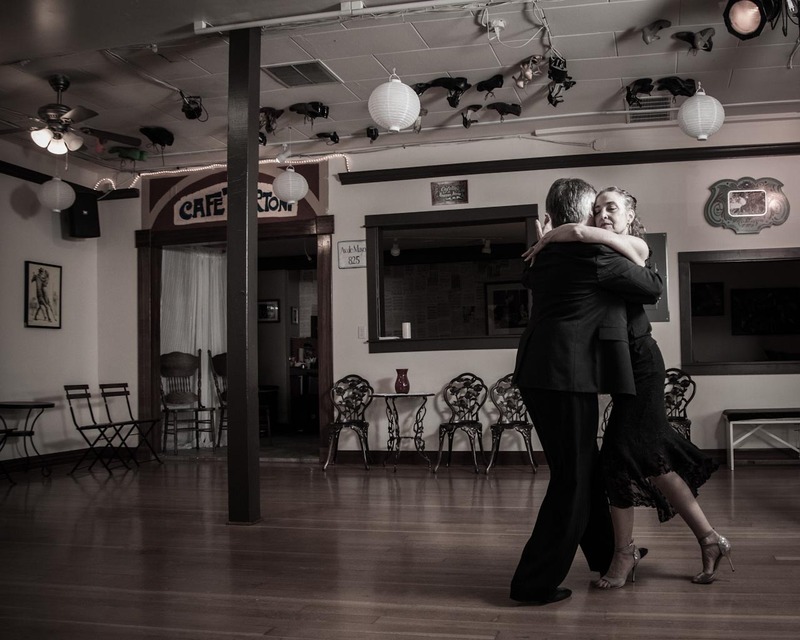 Laurel and Gene Leverton had their first tango lesson on September 13, 1999 at Clay’s Dance Studio in Portland, Oregon. Their social ‘style’ is perfectly at home in the crowded traditional milongas of Buenos Aires. What is important to them is the music, the embrace and the pista (the workings of the dance floor). Before taking on tango, Gene was an economist/business development consultant, and ran his own business for 25 years. Laurel was a freelance photo-stylist in commercial photography for 25 years, and enjoyed dancing modern, folk and belly dance before discovering tango.